Blocklancer is a decentralized freelance dapp on blockchain. It is built on the ethereum blockchain network. Blocklancer aims to revolutionize the traditional freelance system we all know of such as fiverr, freelancer.com, etc by utilizing the blockchain technology. Blockchain as we know is synonymous with transperancy, and this is one of the major goals of the blocklancer platform – creating a transperant freelance platform where users’ satisfaction could be maximized. Blocklancer currently ranks about 216 on stateofthedapps.com where it is listed alongside other dapps. The platform has a web dapp and an app which is currently under development. 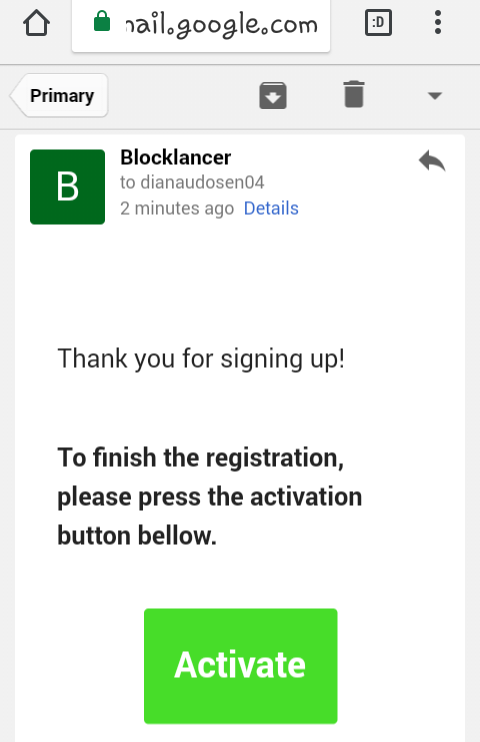 The signup procedures on blocklancer web dapp is very simple. Visit the page: https://blocklancer.net/ and click on the menu (three horizontal lines at the far left side of the page). And boom! Your account is alive! 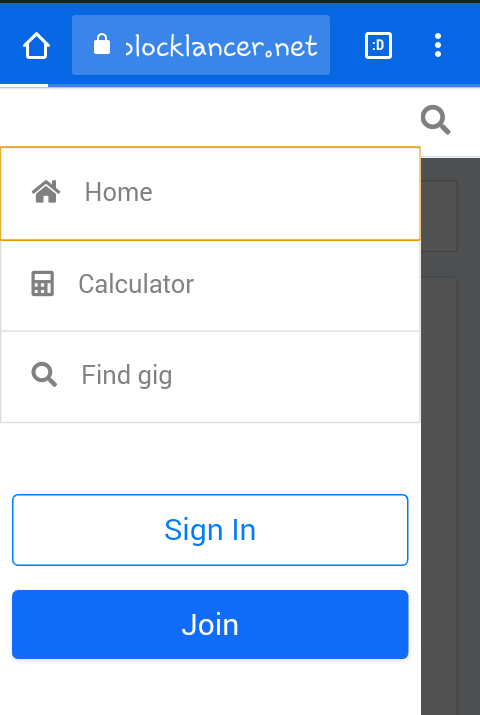 You also have the option to register on the web dapp with your facebook account. Whichever is most convenient for you, go for it. 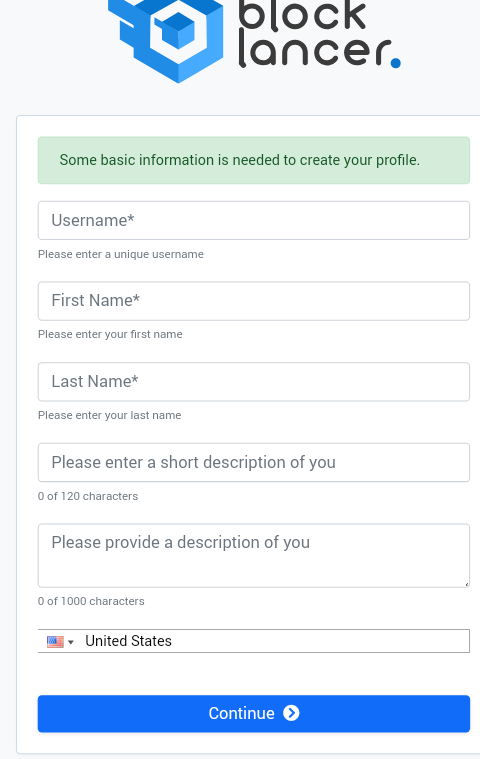 Upon first login to your blocklancer accont, you’ll be directed to your profile page like the one below where you’ll be required to give basic information about yourself – your name, your username, your country, and some description of yourself. Fill out all corresponding information and in the short description box, make a very brief and generic statement of yourself. It should be concise and give a reader a good impression of you. 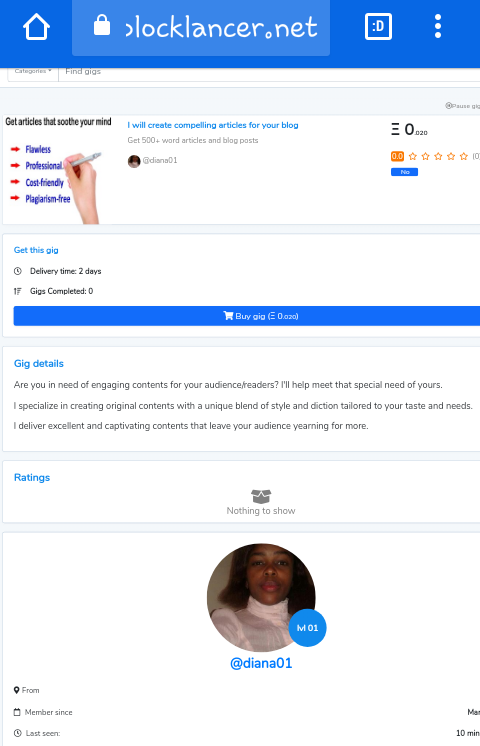 In the next description box just below, expand a bit more about yourself, making it clear if you are there to offer jobs(employer/client) or your services/talents(freelancer). If the latter is the case, specify the kinds of services you’d be rendering. Once all the columns have been properly filled, click on continue. This pop-up menu would display. Select browse images to choose your preferred photo. You can as well use the drag and drop option if you are on PC. Click on Done and wait patiently while the update is processed. Please ensure that the image you choose for your profile is a real ohoto of yourself. This gives you more credibility. Clients always love to know they are dealing with real human beings and not bots. Down on your profile page, input your skills. These should be relevant to the services you’d be offering on the platform. Input your experiences. The companies you’ve worked for and posts you held there. These also should be relevant to the services you offer. All these information serve to give you more credibility. The more credible and qualified you are, the better your chances of getting jobs. Scroll down to where you have create gig which is under the selling subsection. Basic information: this comprises of your gig title, the price you are offering the service, the category and subcategory of the service/gig, as well as the descriptions of the said services and your estimated delivery time. 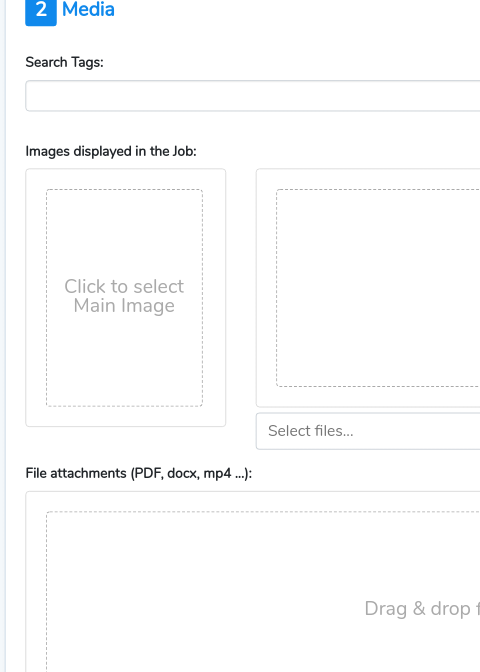 The next section subtitled Media offers option for your gig images and relevant tags. The images should be of high quality, not too large in size, and should reflect the nature of the services you offer. 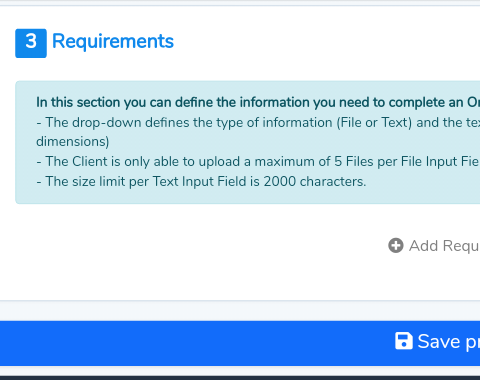 Lastly, you have the Requirements section where you are to list the conditions you require of your clients in order to be able to execute their tasks satisfactorily. However, this section is optional and you can specify your requirements to your clients one on one when you have an offer. Once you’ve accurately entered all relevant information, click on Save project. Lo! Your gig is live! You're ready to ride! 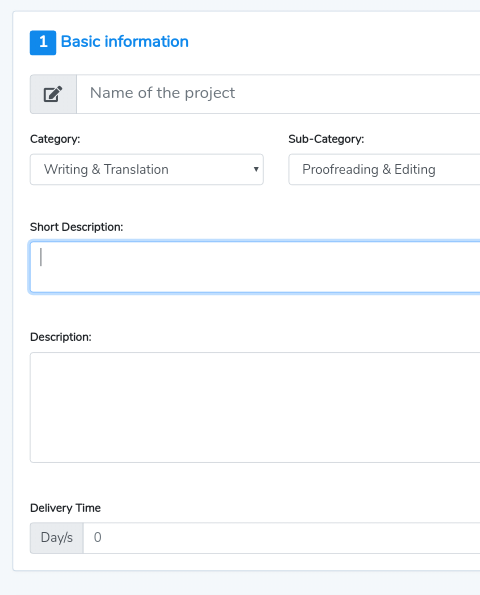 The blocklancer dashboard comprises of orders – both the ones that have been executed and those yet open. It also shows the total income users have earned so far on the platform. Each account on the blocklancer platform has its own wallet and addresses. The wallet section shows your total balances of ethereum and the lance token (LNC). This wallet is where clients would send you tokens on completion of tasks. 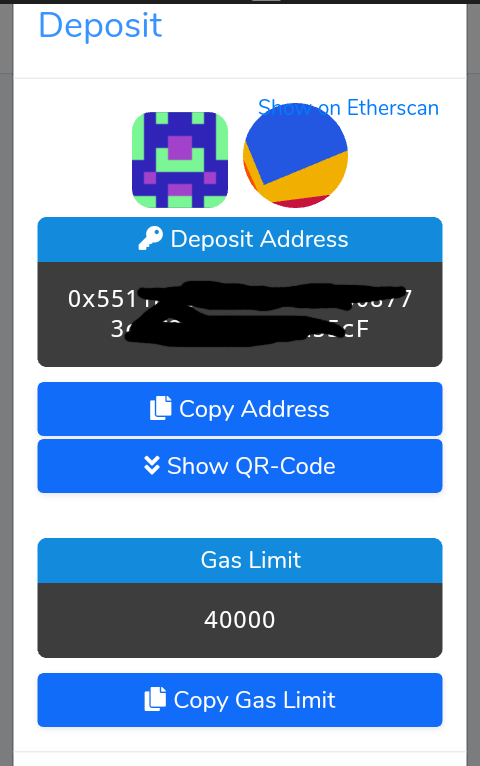 You can equally send tokens to your own blocklancer wallet at your conveneience. This is a communication chamber of some sort for users. 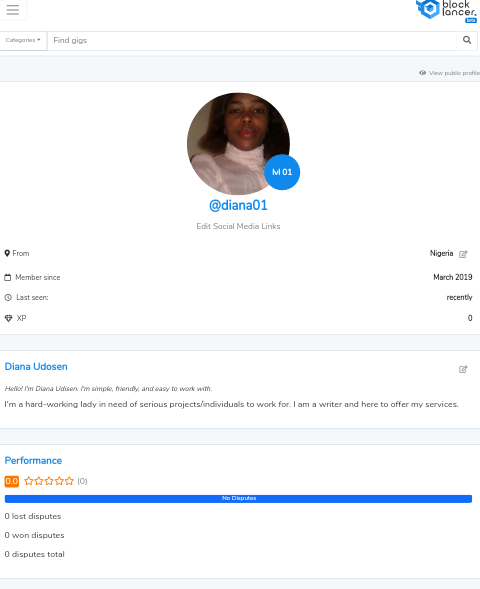 It is here that clients get to interact with workers on the dapp. 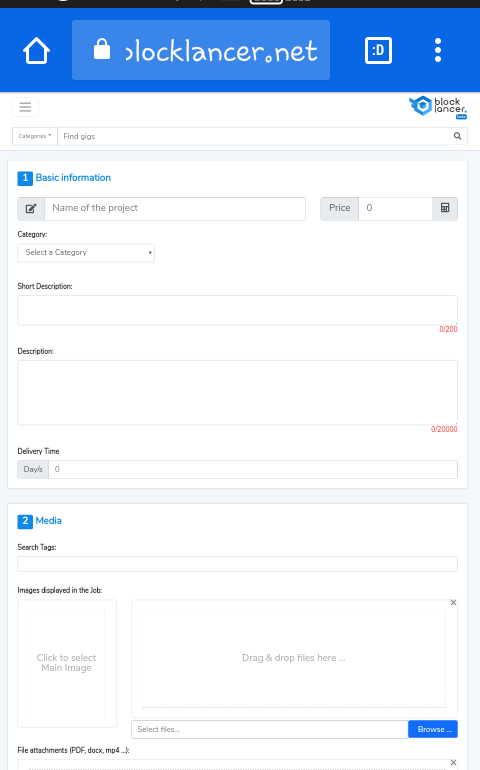 Users can view and send messages to one another in this section and they are provided with options to save contacts of clients and other users for ease of reference. This is one of the most commendable features of blocklancer dapp. The calculator lets users know the exchange rates of cryptocurrencies to fiat at any given time. This way, they are able to accurately determine at what rate to offer their services/jobs. The dapp also has a search bar - to enable easy finding of gigs; an automated dispute resolution system - for resolving conflicts thus, boosting trust on the platform; and a host of other great features. One good thing about the blocklancer dapp is it's flexibility of use. Users have the option to access the dapp either on the web or app which is available for free download on google play store. However, the app is still in developmental phase and yet to be fully released to public. Blocklancer dapp has a host of competitive advantages over other freelance dapps like ethlancer, etc. One of such is its automated dispute resolution system. Dispute is a no mean affair in money matters. It can tear apart a platform and leave it in chaos if not rightly handled. This feature of the platform aims to boost users' confidence and help realize the platform's vision of a transparent and trustworthy system for both clients and freelancers. Other aspects that make blocklancer a favorite is the fact that it charges no fees whatsoever on clients for job posting. As for freelancers, only a minimal service charge of about 3% are imposed on them per task executed. The icing on the cake here is the privileges that holders of lance token enjoy. They not only earn dividends in accordance with their holdings, but are also privileged to partake in dispute resolution processes, a phenomenon that is rarely seen in most freelance dapps. 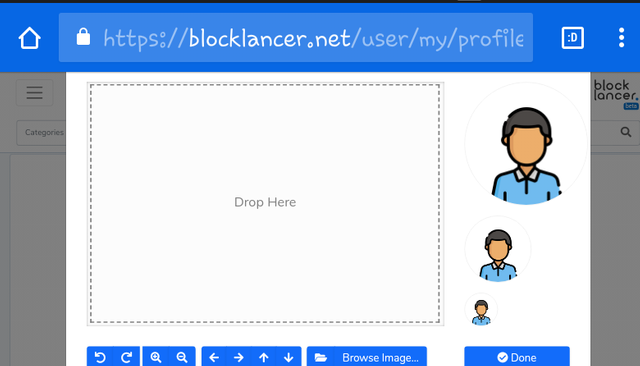 Lastly, quite unlike most ethereum-based web dapps that require metamask as a browser add-on for their usage, blocklancer web dapp supports all types of browsers - a feature that adds more kudos to the platform, making it unique and user-friendly. Come to think of it, most people are not tech savvy and have no idea how to add on a metamask extension. Despite these commendable features, a major downside with blocklancer dapp currently is its low usage rate or low volume of transactions. Information on https://www.stateofthedapps.com show that blocklancer has an average of 15 transactions per week with only about 50 active gigs so far. This is not good enough and could turn off prospective clients and freelancers. The status quo is probably due to lack of good marketing strategies. The absence of an open chat room of some sort where all users and clients could interact right there on the dapp could also be partly responsible. A forum as this in the dapp where all users could interact daily could help create a robust community of users which would go a long in strengthening the dapp. To this end, I strongly recommend that a chat room feature be included in the blocklancer dapp. It would also do the plaftform real good if the team could embark on an intense marketing campaign to promote the platform and bring about mass adotion which is the very boost the dapp needs and deserves. 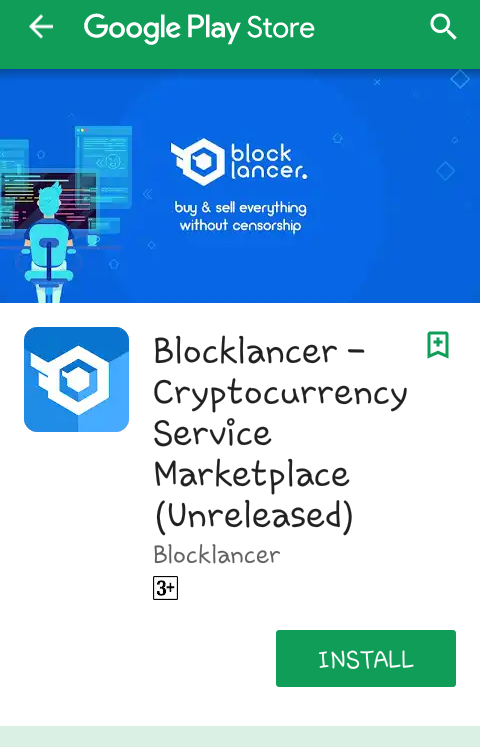 Given the excellent features so far and the convenience it offers users, I give blocklancer dapp 4/5 stars for the moment.